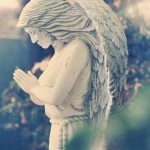 Traditional funeral | Morrell Funeral Home, Inc. Throughout history, burial has been a common practice in human communities, large and small; around the world. Learn more about burial services. Traditionally, a burial service involves a visitation, followed by a funeral service at the funeral home or at your church. Family or religious traditions are often a factor for choosing burial. Decisions need to be made on whether the body needs to be embalmed, what kind of casket to use, what cemetery to use and what to put on the gravestone. Monumental cemetery is the traditional style of cemetery where headstones or other monuments made of marble or granite rise vertically above the ground. Lawn cemetery is where each grave is marked with a small commemorative plaque that is placed horizontally at the head of the grave at ground-level. Natural cemeteries also known as eco-cemeteries or green cemeteries is a new style of cemetery set aside for natural burials. Natural burials are motivated by the desire to be environmentally conscience, although natural burials can be performed at any type of cemetery, they are usually done in a natural woodland area.